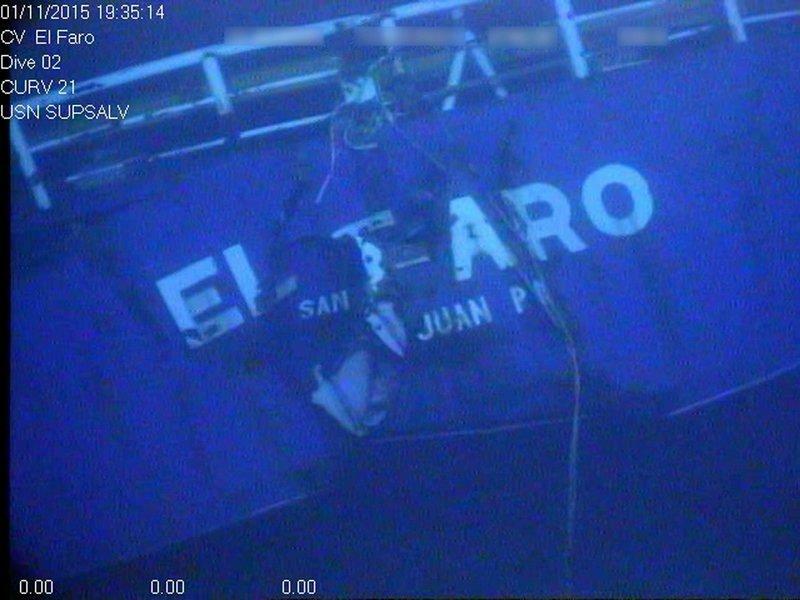 The crew of El Faro, which was based in Jacksonville, died when the container ship lost power and drifted into the path of Hurricane Joaquin in Oct. 2015. 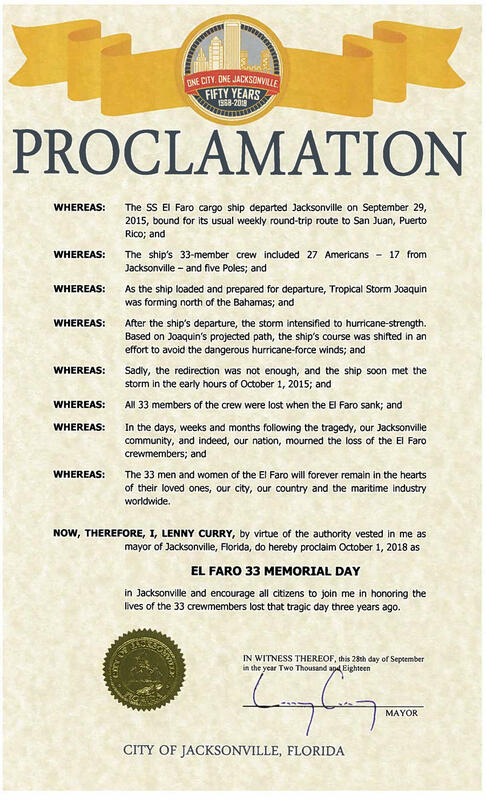 Mayor Lenny Curry issued the proclamation Monday to commemorate the third anniversary of the container-ship’s sinking. 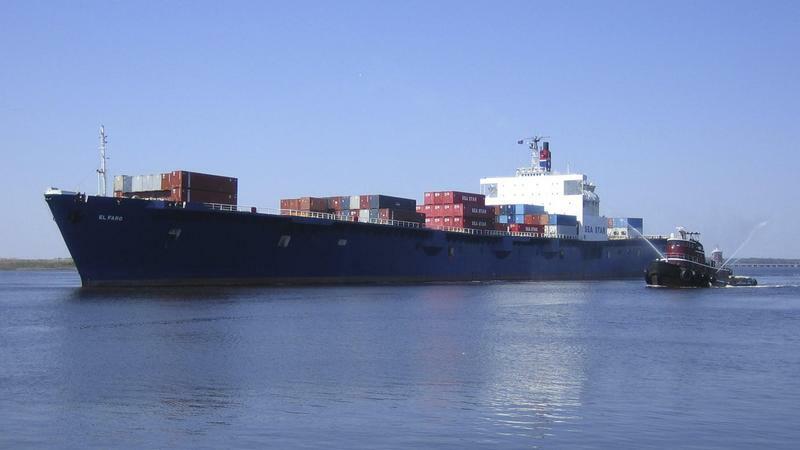 JAXPORT-based El Faro was fully loaded and headed to Puerto Rico when it lost power and drifted into the path of Hurricane Joaquin in October 2015. 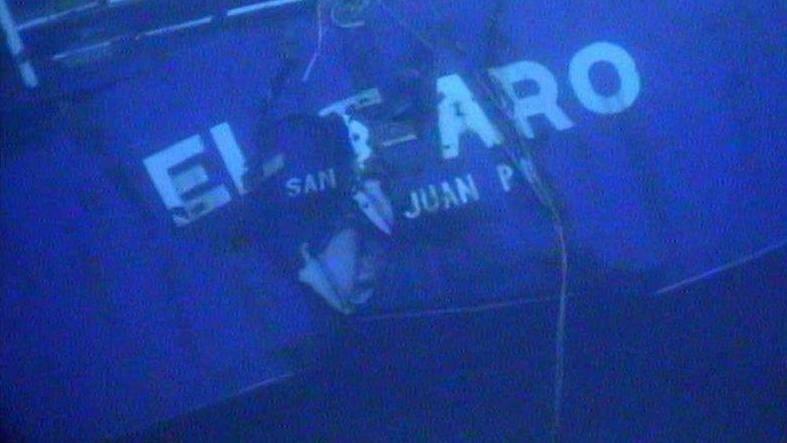 All 33-crew members on board perished. 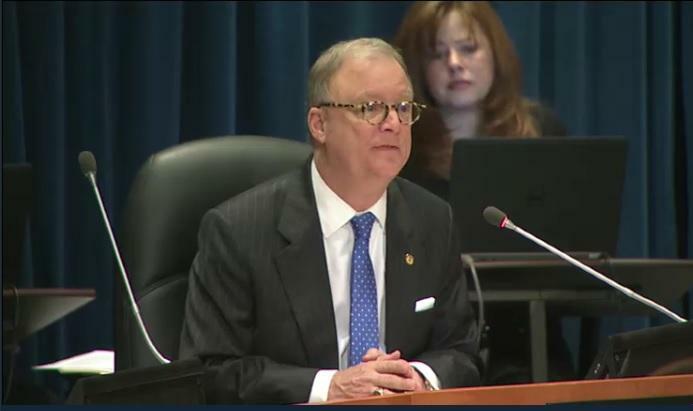 The accident and subsequent National Transportation Safety Board investigation resulted in legislation mandating tougher maritime safety regulations. The bill was approved by both houses of Congress last week and is awaiting the president’s signature.